Cheryl Haynes has created the perfect collection for year ‘round celebrations! Liberty Hill is folk art at its finest. 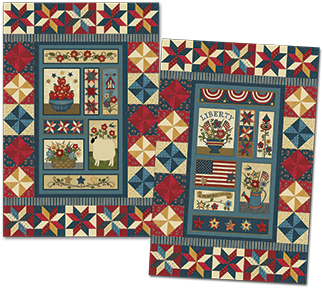 The first panel celebrates America, with folk art flags, stars and stripes. 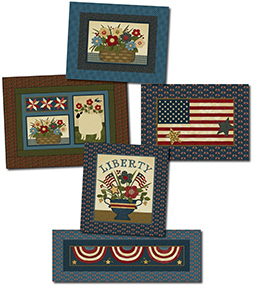 Mix and match it with the coordinates for Memorial Day, Fourth of July, Labor Day, Veteran’s day or Quilts of Valor. The second panel celebrates the comforts of home. 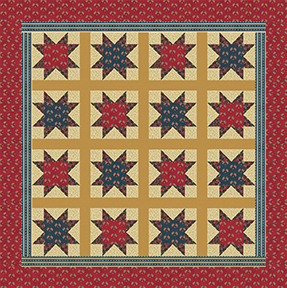 Mix and match it for quilts, table runners, chair covers with a real folk art feel. A truly versatile and warm collection from a great designer.